Here's how you can fake a naturally flawless complexion. 1. Don’t forget to moisturize! If your makeup cracks and flakes on your face often, it’s probably because your skin is dry and dehydrated. Invest in a rich yet non-greasy moisturizer or serum that's appropriate for your skin type and will last all day. Pro tip: Opt for products with hyaluronic acid, which improves your skin's ability to retain moisture. 2. Use a reliable primer. If you have oily skin, primer is your best friend. Make sure your base doesn't budge by applying the soothing BYS Face Primer with Vitamin E & Chamomile extract (P699) prior to your foundation. Your makeup will look pristine all day long, and will definitely not melt or wash off easily despite our crazy tropical weather! 3. Opt for a lightweight yet full-coverage foundation. When choosing your foundation, look for a product that can give you flawless coverage without making you feel like you have a thick layer of makeup on your face. 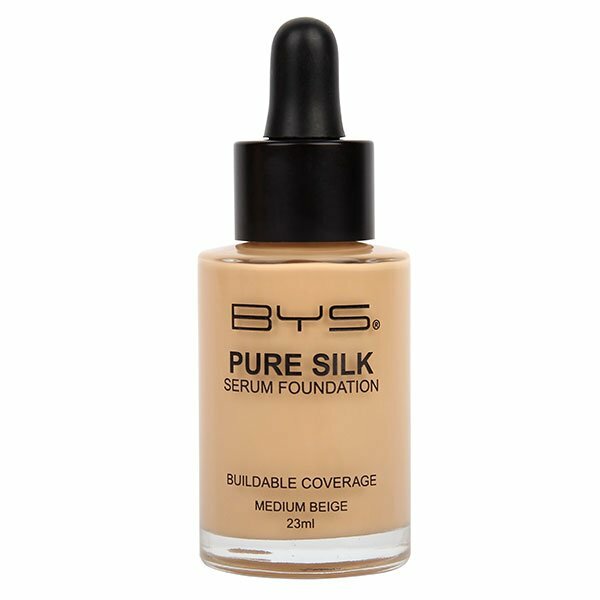 The lightweight BYS Pure Silk Serum Foundation (P899) has a satin finish that sits perfectly between dewy and matte. It provides buildable coverage and blends effortlessly into the skin to blur out unevenness and imperfections, leaving you with a radiant complexion that'll look fresh all day. And if you're worried about your foundation looking too light or too dark on your face, the BYS Pure Silk Foundation Adjusters (P899) can help you get the perfect shade for your skin tone. Products usually cake in areas where you apply way too much, but blending your foundation out will help avoid this. For a more natural finish, use a damp sponge to dab the product evenly all over your face. 5. Set your makeup with a setting spray. Setting sprays usually leave a hydrated and healthy glow to your overall look, giving you a more natural finish compared to the ultra-matte effect of loose setting powders. The BYS Setting Spray (P599) feels weightless on your skin, preventing makeup from budging while giving your face a shine-free finish. And we're all for that supple, smooth, and highlighted skin, aren't we? Visit the BYS Philippines Facebook page for more information.